Sarnia, Ontario, Canada, March 9, 2015 --- A new range of small GRP cabinets from Intertec provides installers with increased flexibility for protecting outdoor equipment. 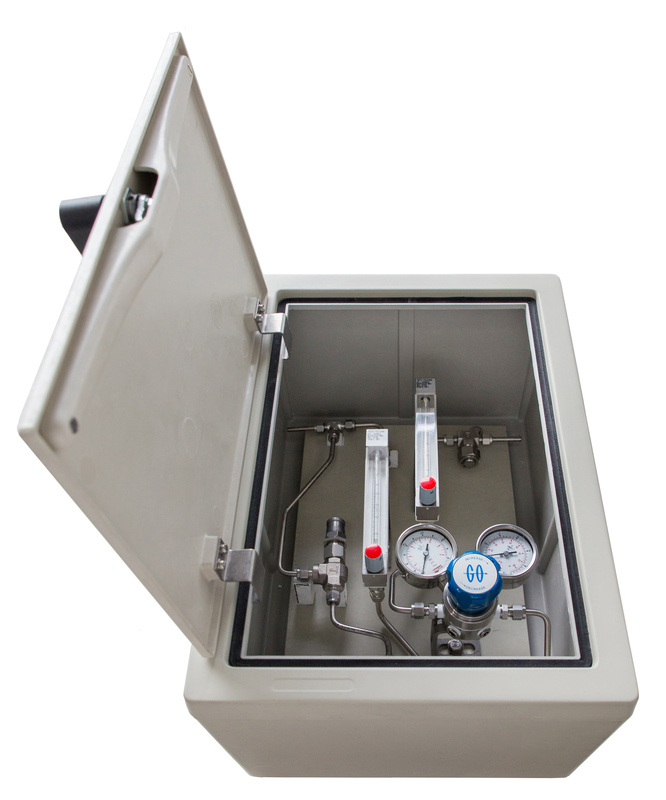 The new MINICAB housings combine a relatively high containment capacity with convenient pipe stand or wall mounting, and feature a flat full-size hinged door for quick and easy access. They are designed to help customers simplify the layout, installation and maintenance of outdoor equipment without having to recourse to large footprint free-standing cabinets. MINICABs are especially suitable for protecting smaller-scale field-based installations such as electrical, analytical or safety equipment against the effects of weather and unauthorized access. Their GRP construction also makes them ideal for long-life applications in harsh climates, and in plants handling chemicals and petrochemicals. Intertec is initially launching the MINICAB 44 model, which has a capacity of approximately 44 liters and measures just 506 x 356 x 245 mm (19.9 x 14 x 9.6 inches, HxWxD); larger versions will follow. 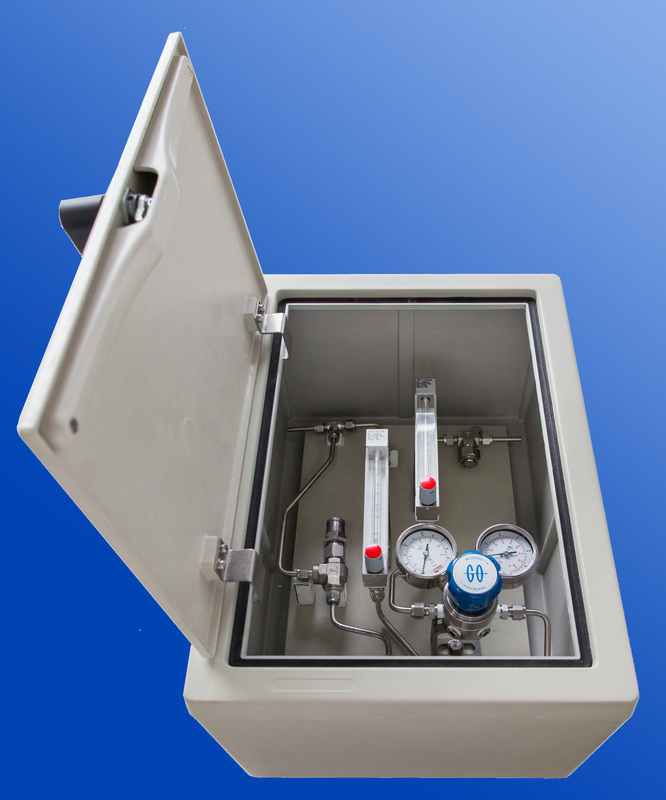 This is the smallest cabinet-style housing that Intertec has produced to date – other products in this size range comprise two-part enclosures that split open for access. MINICABs are manufactured from hot-pressed GRP (glass reinforced polyester) for robust, maintenance-free performance in harsh outdoor environments. This material does not corrode and is impervious to the effects of salt and common atmospheric pollutants, making it suitable for use in any type of rural, urban or industrial environment. An unobtrusive light gray in color, the GRP is also UV resistant, has very low flammability and is self-extinguishing. An optional exterior gel-coat offers added protection for applications that involve prolonged exposure to intense sunlight. All hinges and mounting fixtures are manufactured from corrosion-resistant 316 stainless steel and the door can be fitted with a lockable handle or security-key mechanism. 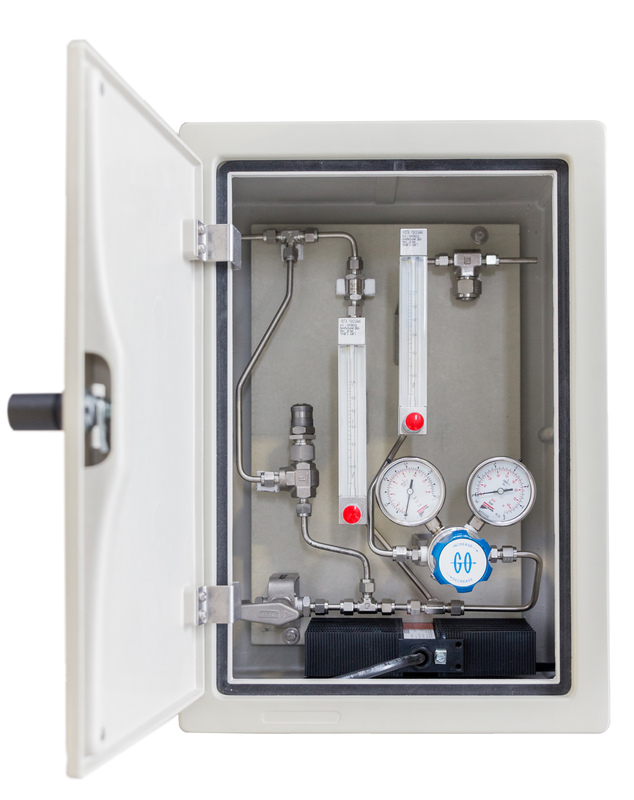 As standard the cabinet carries an IP54 rating, but IP65 versions are available to order for applications that require higher protection against water ingression. A durable EPDM rubber compression seal is incorporated in the molded retaining groove that runs the full length of the joint between the cabinet and the door. The cabinet is also impact resistant. 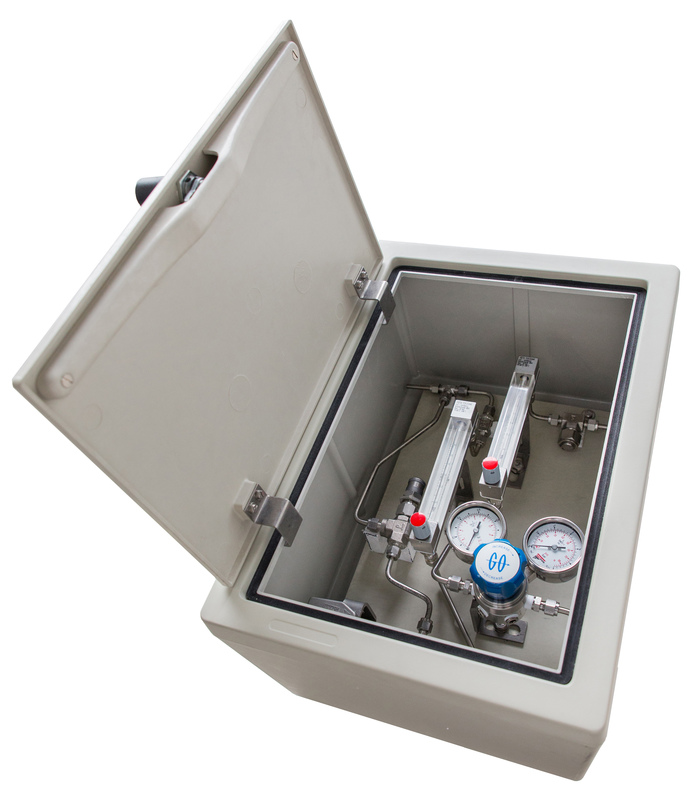 To help simplify installation and ensure optimum thermal performance, equipment can be attached to a separate mounting plate, which is then secured inside the cabinet. Intertec offers a choice of corrosion resistant GRP or stainless steel mounting plates. For applications where it is necessary for personnel to be able to see annunciator devices such as equipment status indicators or meters without having to open the cabinet, the door can be fitted with an acrylic or safety glass window. Intertec MINICABs are also available in versions that are suitable for use in potentially explosive atmospheres. Options include IEC 60079-0 compliant models that use a special electrically conductive form of GRP to prevent the build-up of electrostatic charge. 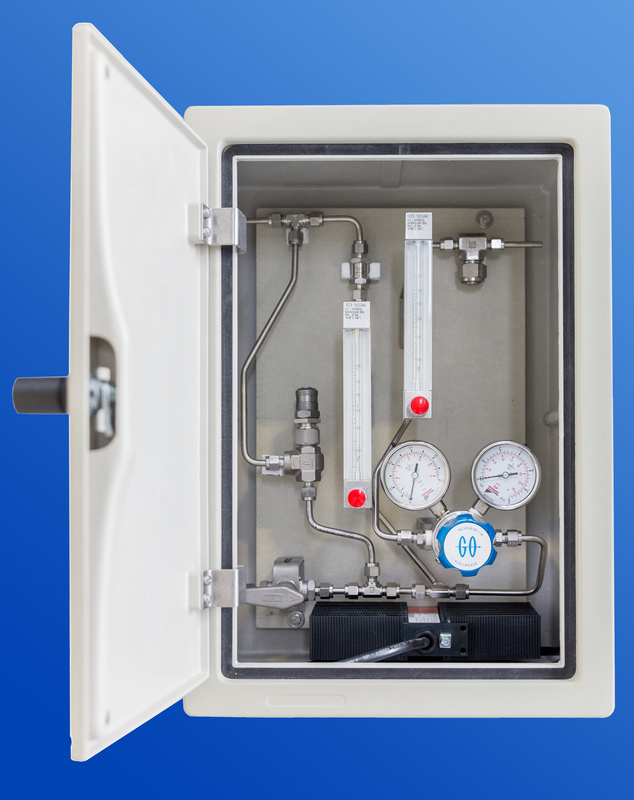 Intertec’s new MINICAB housings are ideal for protecting small installations of electrical, analytical or safety equipment against unauthorized access and the effects of weather. 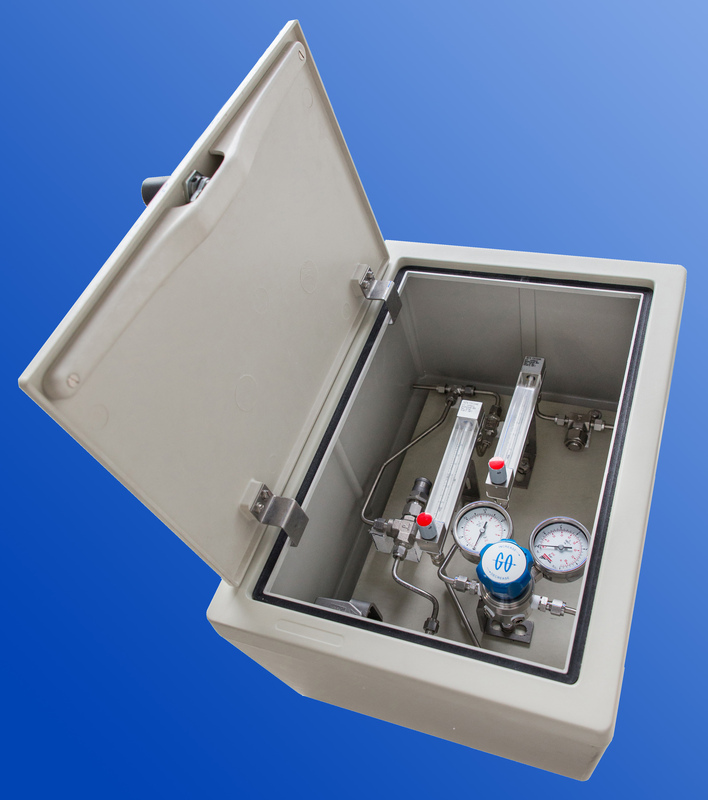 Intertec’s new MINICAB housings provide a cost-effective alternative to large-footprint free-standing cabinets. Intertec’s new MINICAB 44 housing is an all-in-one design with a hinged front door that closes against a rubber compression seal.